Posted June 28, 2009 in Elvis Presley, Michael Jackson, Uriel A. Durán. 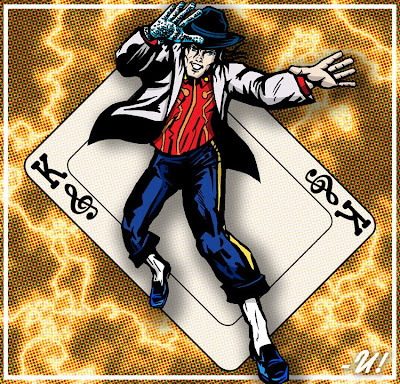 The ‘Kings’ of Pop and Rock’n’Roll in the style of the King of Comics. 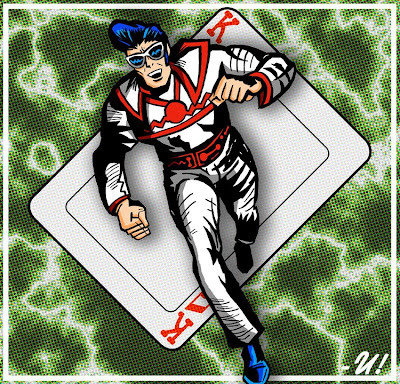 Playing card designs by Mexican Illustrator, Writer and Designer Uriel A. Durán. Uriel’s comics work includes: ‘Fatalysia’ and ‘Anomalía!’ plus the web-comics ‘Big Iron’, ‘Goats’ and ‘Nor Prodigies Nor Dreams’. For more of Uriel’s work be sure to visit his website here.